UPDATE: After nearly 11 hours, Caputo posts an apology. CNN Chief White House Correspondent Jim Acosta tweeted footage of being jeered by Trump supporters and claimed to be “very worried that the hostility whipped up by Trump and some in conservative media will result in somebody getting hurt.” Reacting to Acosta’s remarks, Caputo mocked the appearance of Trump rallygoers. “If you put everyone’s mouths together in this video, you’d get a full set of teeth,” he wrote. Another Twitter user chided Caputo for partaking in the same behavior he lamented — but the Politico reporter remained defiant. “Come on Marc. They are beyond classless but you don’t have to add to the very behavior you’re complaining about,” tweeted David Bishop. “I’d argue i was more clever,” Caputo shot back. Come on Marc. They are beyond classless but you don't have to add to the very behavior you're complaining about. 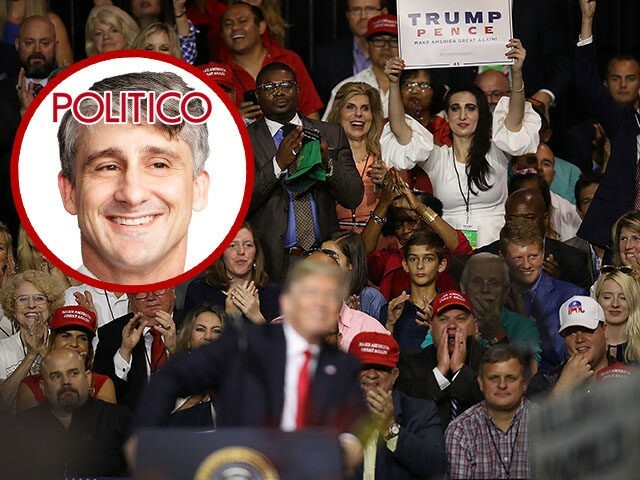 Breitbart News Senior Editor-at-Large Joel Pollak said Caputo’s attack is a reminder why media favorability among Americans has hit rock bottom. “. @Politico reporter shows why Americans hate the news media,” Pollak tweeted.